This topic contains 5 replies, has 6 voices, and was last updated by Chris Green 1 day ago. 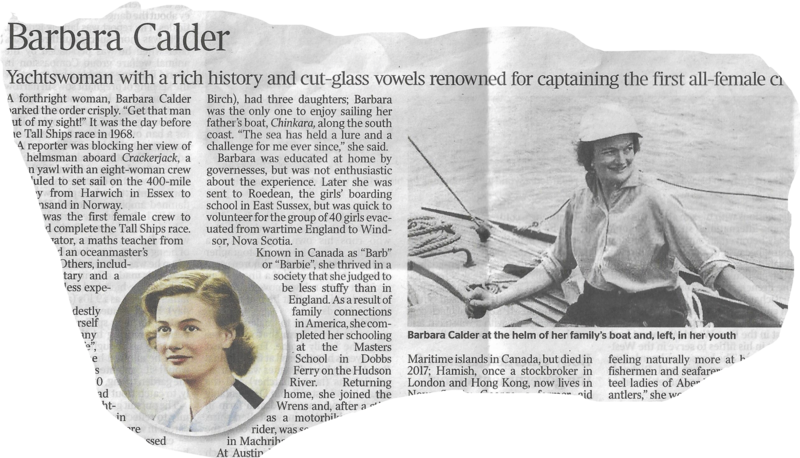 The Obituary is well worth a read for Barbara Calder’s exploits. Read it on The Times website here. The history of our boats is littered with amazing characters and personalities – hopefully we can pull out a few for the AOA60-60-60 as part of our 60th Anniversary celebrations. Maybe Barbara Calder will qualify. Well I’m amazed , I didn’t know that. pehaps I never mentioned my new boat was an Atalanta . Ive forwarded this to Mairi and George . Maybe they can come up with some old family pics !!! 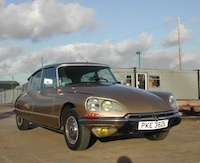 Simon – What a small world it is! I hope you get them out on Solone. And also that you have a great season with Solone in 2018! Fascinating to read about this lady; link (above) to her obituary in The Scotsman – very comprehensive.